China’s mobile e-commerce market is one of the most fascinating, dynamic and advanced in the world. China is a consuming nation with it’s transition into the largest e-commerce market being accelerated by the growth of smartphones, other mobile devices and of course the apps and mobile services developed for them. E commerce growth in China has been unprecedented, in 2010 online transactions made up 3% of total private consumption, in 2017 it is 15% and expected to rise to 25% by 2020. To put this into perspective online shopping in the US accounts for 7.5% of private consumption. Chinese consumption will grow by more than half to $6.5 trillion over the next five years from $4.2 trillion in 2016. E-commerce on the whole will account for 42 percent of that growth. These statistics speak for themselves but let’s consider specifically the mobile e-commerce market and how it has facilitated the unbelievable rise of this sector. China, like many other developing markets, did not follow the pattern of the West in going from physical shops to PC to laptop to smartphone/tablet. The majority of consumers just went straight to the smartphone and have never engaged directly with other technologies. 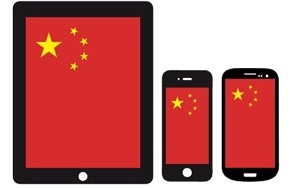 Everything in China is optimized or mobile, we cannot fathom the Chinese market without acknowledging the central role mobile plays in connecting B2C. China in terms of m-commerce leads the way with ‘social commerce’ (more on this later), mobile payments, mobile optimized stores and app development. 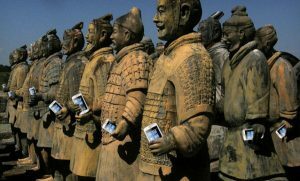 The truth is that the Chinese technology industry — particularly mobile — has steamed ahead of what we have in the West. Handset makers such as a Huawei, Vivo, 360 and Xiaomi (newer models are greatly improved) boast a great build quality, storage, battery life and functionality, And this is before we even mention the apps that are available. You will witness yourself when visiting China that the Smart Phone is ubiquitous with the Chinese consumer and plays such a pivotal role in daily life with apps such as WeChat dominating communications whilst providing a host of daily services from Geo-Mapping, e-wallet mobile payments to Didi (ordering Taxi’s). 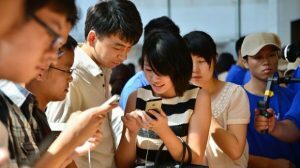 Chinese consumers are on smartphones for on average two hours per day. Internet users in China reached 850 million in 2016 and 750 million of those users, almost 90%, accessed the internet on a mobile device. In other words, the number of internet users in China is more than twice the population of the US and almost the population of Europe, and most of those individuals are accessing the web via mobile. Without exception all e-commerce sites are optimized for mobile, when building stores and online displays there is no other option in China. Tmall, JD, Taobao, WeChat Stores.. they all have mobile app versions and optimized m-sites. Display quality, speed of load time, page formatting and payment is all geared towards Smart Phone users. WeChat has 877 million daily users with 65% of WeChat users are on the App for 90 minutes a day. What WeChat have done is to incorporate e-commerce into the DNA of this network. Brands can now open ‘stores’ hosted on WeChat and connected to ‘Official Accounts’. These stores typically feature up to 15 SKU’s (product pages) and are highly customizable. They allow for a smooth user experience and combine the social, customer service element of branding with the opportunity to purchase directly. Payment is made directly via the WeChat E-Wallet at the swipe of a screen, this is linked directly to a users bank account. Mobile store developers such as Youzan have exploded off the back of this revolution in m-retail, there are so many quality & customisable templates in China now to cater for retailers. Another noteworthy social commerce platform is ‘Little Red Book’, this app cleverly built a social feed into the fabric of browsing stores to enable users to share their purchases and discuss via an Instant Messenger. After purchasing users share images of their purchase and can post live reviews. The largest players here are ‘Alipay’ (owned by e-commerce giants Alibaba) and WeChat Pay. Payments from a smartphone is the norm now, e-wallet systems allow for management and re-allocation of funds, personal transfers, investments and of course instant payment via the scanning of a QR code (Quick Response Code) or the auto generated bar code linked to your account. With this infrastructure offline to online commerce plays a huge part, users can be driven to an official WeChat store, account or site for exclusive offers as part of this payment process. Alipay are linked directly to all Alibaba’s commerce stores (they preside over 75% of this market) and this payment method is built into all payment screens. The benefits are obvious; with cashless payments there is greater security (a password still has to be entered), faster, more convenient and it has encouraged m-commerce through the simple ease of completing transactions. The ecommerce paradigm has shifted to brands and platforms that offer a complete experience rather than a narrow focus on sales. WeChat accounts cannot be thought of in isolation of Baidu (China’s Google), which in turn cannot be isolated from a major presence on stores like Tmall or JD. As a result, many Chinese brands are doing things that are yet to be seen in the West, integrating experiences across all touchpoints and channels, often using virtual reality and 3D imaging to build continuous engagement along the entire consumer journey.. most importantly it’s all mobile! Additionally, because mobile tools are so integral to daily life the whole ecommerce experience becomes an extension of that, just look at WeChat stores being one swipe away from a personal chat. It’s integration on another level that ‘Apple Pay’ are frankly light years behind.. When building WeChat pages one must rely on quality HTML5 design for a quality user experience, yes this costs, but in such a competitive market it’s necessary. The Chinese are brand fiends, we all know this in a society where ‘face’ (status) is everything. The whole process has become more integrated and interconnected which leads me onto the next point..
For retailers there is the added benefit of ‘flash sales’ and impulsive buying at the point of wanting. This creates demand and drives sales by offering that quality consumer experience alongside intelligent marketing. WeChat stores, whilst a great shop-front, are static. 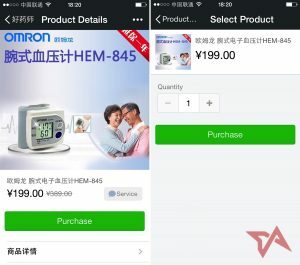 With no search function for stores in WeChat you have to actively drive traffic by connecting with an official promotional account and embedding QR code links both offline (on displays, billboards, products even) and offline (on a landing page for example). Even well established stores such as Taobao Global, JD & Tmall need to drive traffic. Ad links on Baidu (China’s Google) as well as display ads on these cross border platforms themselves are a required element. This is a bold statement but I believe it to be true. 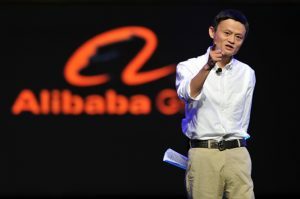 Alibaba dominates ecommerce and electronic payments in China, and its $25 billion IPO in 2014 was the largest ever. Its various sites account for around 75% of ecommerce in China, and are worth more than those of eBay and Amazon combined. Tencent, on the other hand dominates messaging through WeChat; and Baidu, the equivalent of Google in the West, accounts for over 75% of Chinese search engine activity. Huawai is now one of the world’s leading manufacturers of mobile and telco network equipment, competing against Ericsson and Nokia. Xiaomi are building their brand to take on the likes of Apple and Samsung. Entrepreneurs have developed these huge businesses through the power of their personality in a viciously competitive environment which has all been built around mobile optimization and the increased integration of services. This is necessary when consumers base their online and shopping habits around their smart-phone. The demand for this innovation seems to have slipped in the west allowing the likes of WeChat & Alibaba to lead the way in e-retailing developments in the east, not the west. Many firms I advise to take a ‘stepping stone approach’ and build up to the large outlay required for JD & Tmall. With so many quality mobile apps and sites you can test and validate your concept first, after all ‘notches on the board’ when it comes to sales is the most important thing. A good starting point is a WeChat store, Taobao Global store and a marketing strategy to drive traffic here via an official account, ads on Baidu, relevant display ads and some exposure in targeted media sources. Once you have built this you can look to approach potential distributors but for quality you need to already have built some brand & product awareness. 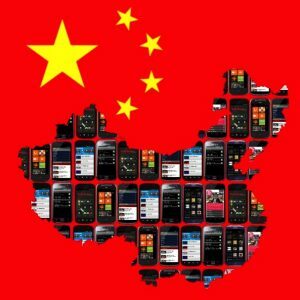 The Chinese market actually gives us a glimpse into the future with its diverse strategies and mobile-centric approach. 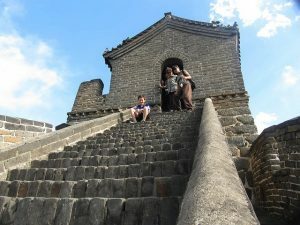 In the West we had to climb a series of steps to before reaching a mobile dominated universe, Chinese society developed with this technology far more available and thus ran with Smart Phone based commerce to create the most mobile centric digital eco-system in the world, but not only that, the largest and most lucrative e-commerce market on the planet.